We hosted our 6th annual Friendsgiving last evening and it was the best time with some of our best friends!! Now that I've sorted through and cleaned up the aftermath, I'm officially in Christmas mode! This weeks Sunday Seven is full of gift ideas, recipes, and holiday decor to ring in the holiday season! I love simplistic holiday decor! This olive branch wreath with gold bells is ah-mazing! I'm working on a similar on for our front door out of rosemary from the garden! If you want to try a similar look, I bought my golden bells at At Home for only $8!! Looking for a delicious and festive appetizer this holiday season? This sun-dried tomato, pesto and goat cheese spread is insanely delicious!! I had this a few years ago at a work holiday party and have been making it ever since! Not only is it delicious, it's also the perfect color combo for the holidays! You'll definitely be a hit at your next get together if you show up with this spread! If you're in the market for a new stocking, definitely check out Anthropologie! They have some adorable options this year! I'm obsessed with them because they have so much texture! From faux fur to embroidered beading to tassels and wool, there is literally something for everyone! I love these as a wrapping alternative as well! They also have a sale, 20% off full priced home decor this week!! Definitely worth a look! Do you have an upcoming event and forgot to get a hostess gift, if you're a Prime member, Amazon has got you covered!! There are so many cute hostess gifts available for same day or next day shipping via Prime now!! 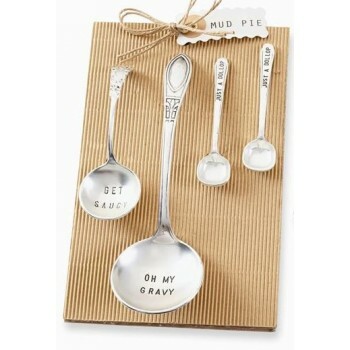 I love all things Mud Pie and Primitives by Kathy for hostess gifts! Here are a few cute options that are eligible for Prime shipping!! Whether you're planning for Christmas card photos, a holiday party, or a trip to see Santa, shopping for holiday looks for your little girl is serious fun! I've rounded up some of Stella's upcoming holiday looks with shoppable links here! One of which is this adorable velvet tutu dress from Old Navy!! Stella is obsessed with all things ballerina right now, so this dress is the perfect combination of holiday and ballet! I'm considering this for her Santa pictures!! If you're in charge of dessert this year and aren't into cooking, definitely get a pie from Emporium Pies!! They are insanely delicious!! Matt's favorite is Lord of the Pies, a deep dish apple pie with caramel sauce!! 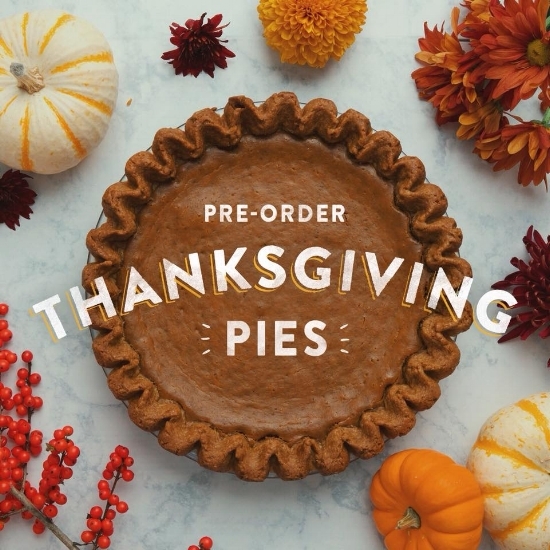 Their Fall pie list is ah-mazing from The Nutty Honey, creamy peanut butter with crunchy honey bits, to Drop Dead Gourdgeous, spicy creamy pumpkin in a gingerbread crust, there is seriously a pie to meet every taste!! Check them out online or on Facebook! Ok, shameless plug! If you're looking for a way to add a personal touch to your upcoming event, I'm painting custom watercolor menus and place cards!! They're the perfect extra touch to step up your holiday table game! Check out my SHOP for more details!